30 Minutes with Sylvia Hopwood! Our second radio broadcast was recorded this week and after a little bit of persuasion, Sylvia agreed to be interviewed and what a great interview it was! 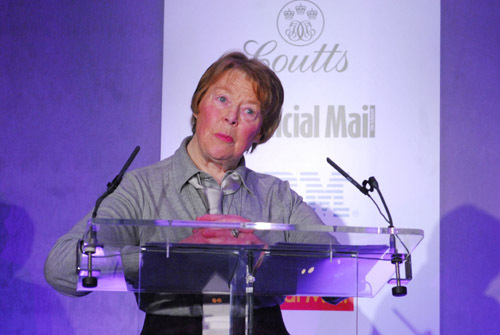 Sylvia very kindly shared how she felt to have won the NatWest Everywoman Iris Award and what plans she has in mind for continuing the development of The Recycle Works. Plus find out what this years ‘must have’ Christmas present is and why our Compost Bins have played such an important part in getting to where we are now! Simply click on the link and you can choose to hear both this broadcast and the first ever one with Simon sharing his EM knowledge. We hope you enjoy! 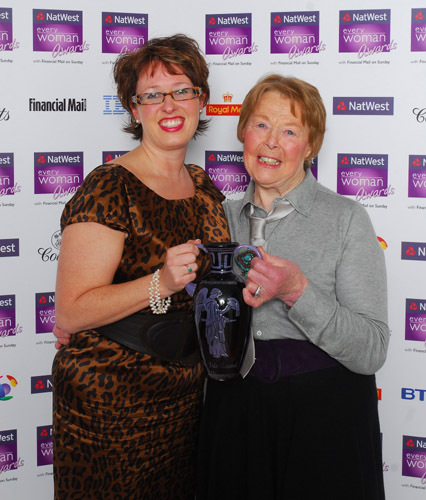 Sylvia wins the NatWest Everywoman Iris Award! 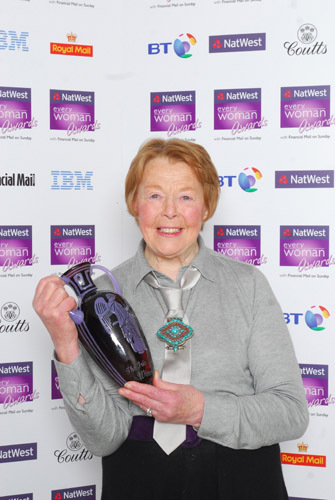 BIG congratulations to Sylvia for winning the 2008 NatWest Everywoman Iris Award today! The Everywoman Iris Award is given to the woman “whose business growth and success has been greatly improved, through successful implementation and use of IT and communications”. Sylvia make her acceptance speech. A real “silver surfer” if ever there was! Sylvia with her 'Iris' Award. Pleased as punch I’d say! Well done Debs for nominating her!